An error-laden New York Times book review published earlier this month has prompted controversy both inside and outside the newspaper's newsroom. Earlier this month, on September 7, Michelle Goldberg, a new columnist at the Times, published a review of "Blurred Lines," a book by Vanessa Grigoriadis which grapples with the topic of sexual consent on college campuses. In her review, Goldberg laced into Grigoriadis' work, writing that it was "too sloppy with the facts to succeed." As it turned out, Goldberg was also sloppy with the facts. Soon after it was published, a lengthy correction was affixed to the bottom of the piece. And, to make matters worse, the original correction failed to account for another glaring mistake, the misspelling of a top civil rights official's name. A second correction had to be added. 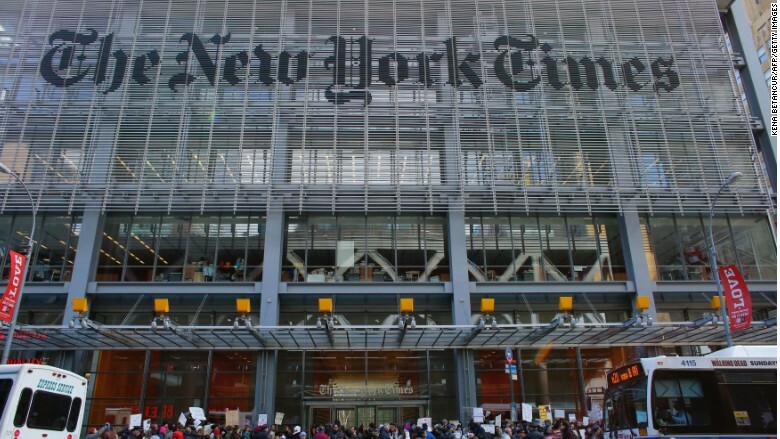 "I have the utmost respect for the NYT but I regret that a review that harped on the facts was thoroughly inaccurate," Grigoriadis, who is also a New York Times Magazine contributing writer, told CNN in a Friday text message. Goldberg, who declined to comment to CNN, wrote on Twitter last week that she would "give a kidney and 5 years of my life" to take back the incorrect assertions she made. But Grigoriadis was not forgiving, and challenged the underpinnings of her review in a blistering point-by-point rebuttal posted on Facebook. "Michelle performed some of her own (incompetent) journalism here," Grigoriadis wrote in the September 16 Facebook post. The Vanity Fair report, citing insiders, raised the question about whether the Times' slimmed down editing structure may be to blame for the errors slipping through in the review. But others cited in the report disputed this notion, including Danielle Rhoades Ha, a spokesperson for the Times. "Our editing standards and processes are the most robust and rigorous of any news organization," Ha told Vanity Fair. "We deeply regret when mistakes happen, but work to correct them as soon as possible. That's always been the case in our newsroom, and it remains so."